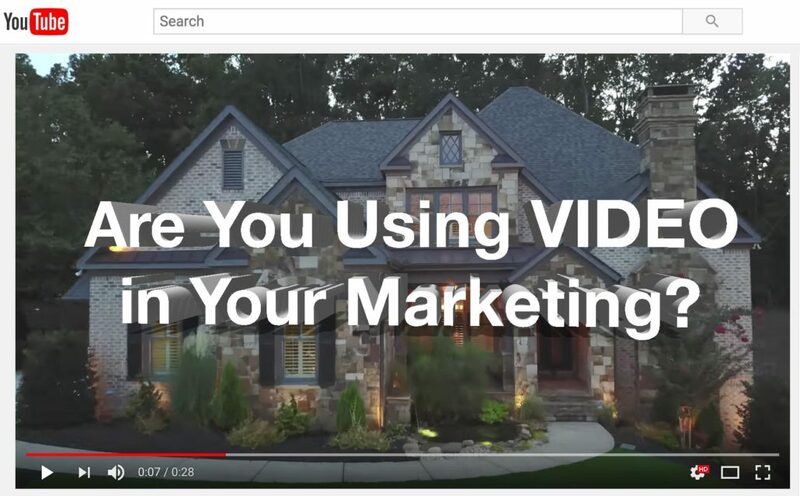 Are You Using Video In Real Estate Marketing in Atlanta? Because if you aren’t, you may be missing some clients. I once made a property video for a client and a buyer bought it site unseen after he watched the video on his iPad while on the plane 30,000 ft in the air. Search Google for a property address. If that property has a video tour it will pop up in the top of the results! You can place a video link in your MLS, On Realtor.com, Zillow and Trulia. All my video are made with purchased copyrighted soundtracks, so you will never be kicked off if you load it directly to Facebook! Do you know you can now also directly upload videos to LinkedIn? THIS IS HUGE! Think about it. The more eyeballs you will have on your listing, the higher your chances are for selling that property quickly. And that’s what your seller wants. That is what you want too. I charge $200 for small homes, and $300 for properties over 2,000 sq.ft. Currently I include drone video in all my property video (if drone use is allowed in your area). Call me today (727) 418-9016 or send me a message to schedule your property video! Here are a few samples. I make real estate videos anywhere in Atlanta, Marietta, Kennesaw and other towns of Atlanta Metro area. Ask me also about property photos, twilight photography, drone pictures and your headshots!